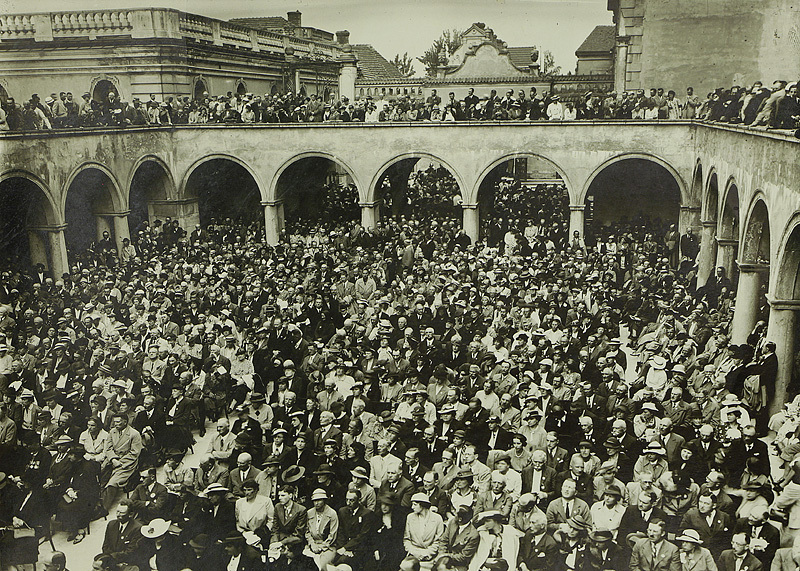 Above: 1st Convention of the Landowners Association (Związek Ziemian) in the Jasna Góra Monastery, 1937. The landed gentry were always very active and often participated in social, cultural, and agricultural organisations. “The high-born have not only privileges, but also, and primarily, more responsibilities,” wrote Wincenty Lutosławski in 1939. Landowners often initiated establishment of various institutions (schools, fire brigades, community centres, libraries, and agricultural clubs and associations). Thanks to their position they could perform the function of local leaders. They were often elected by the locals to the local government.